(Rick Egan | The Salt Lake Tribune) Rep. Kevin Stratton introduces one of the two bills that could lead to the adoption of a new state flag to the House Government Operations committee, Wednesday, Feb. 13, 2019. Seated next to him (l-r) are Jonathan Martin and Richard Martin, the lead designer and chairman of the Organization for a New Utah Flag. A House committee signalled its support Wednesday for the creation of a commission to study and potentially recommend changes to Utah’s 100-year-old state flag, asking the proposal’s sponsor to adjust his legislation before it is sent to the full chamber for debate. But committee members appeared less enthused about a second state flag bill that presents lawmakers with a ready-made redesign pushed by a private advocacy organization. 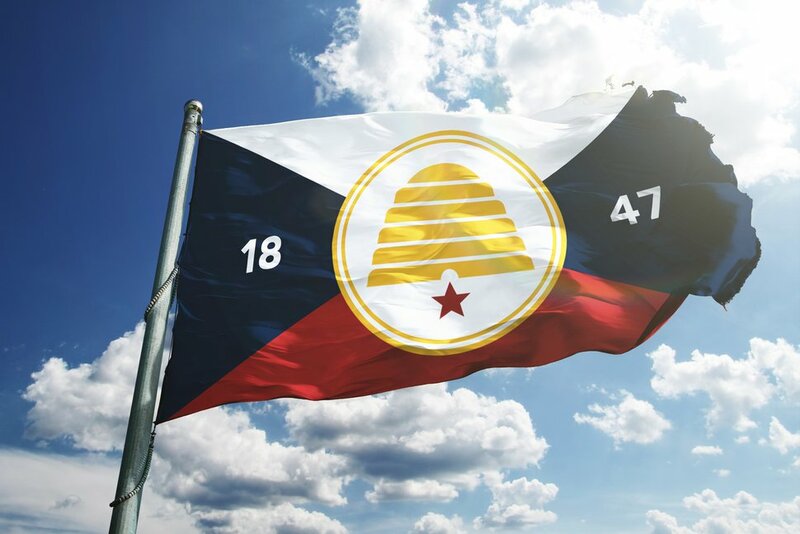 That design features a gold beehive and red star at its center, surrounded by four red, white and blue triangles intersecting at diagonal crosspoints and the numbers “1847,” a reference to the arrival of Mormon settlers in the Salt Lake Valley. The flag’s lead designer is Jonathan Martin, whose father Richard Martin is a former candidate for Utah governor and chairman of the new flag organization. Several lawmakers and members of the public questioned the use of 1847, suggesting that either 1896 — the year Utah was granted statehood — or no date at all would be more inclusive to all residents of the state, rather than focusing on members of The Church of Jesus Christ of Latter-day Saints. But Jonathan Martin responded that changing the date to 1896 would ignore 50 years of state history, or lead to a “slippery slope” generating calls for 10,000 B.C.E. to be placed on the flag in recognition of the first human inhabitants of what is now Utah. It would be more exclusionary, Jonathan Martin said, to remove a reference to the struggles and efforts of early Mormon settlers. While that proposed redesign was subject to scrutiny, members of the House Government Operations Committee appeared receptive to a conversation around updating the flag and a bill, HB219, that creates a panel for that purpose. Committee members questioned the proposed size of the commission — 22 members — and suggested the commission might be better utilized soliciting and reviewing design submissions rather than simply studying the merits and flaws of the current flag. “This process is maybe a little bit slow,” Rep. Jeffrey Stenquist, R-Draper, said of HB219′s current structure, which defers any action on new flag designs to future legislation. Rep. Stephen Handy, R-Layton, said he would be happy to consider the committee’s feedback before resubmitting HB219 for their recommendation. “I think we can rework this for you,” Handy said.